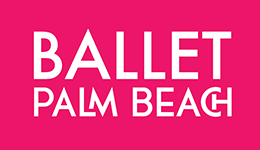 PREMIERES is a festival of new additions to Ballet Palm Beach repertoire brought to the West Palm Beach stage by the dynamic company dancers. The performance features diverse contemporary and neoclassical repertoire from nationally recognized choreographers. The mixed bill includes three world premieres by Christopher Huggins, Donna Murray, and Gina Patterson; and a performance of Balanchine‘s rarely-seen, pas de deux, Sonatine accompanied by live piano music. The mixed bill is presented in the intimate setting of the Rinker Playhouse.